Description: No New York City; CT Buyers please message us with a copy of your state permit. This listing is for ONE magazine. Here are West German police magazines for the Sig P-6 pistols, same as the first, older Model 225, manufactured from the mid 1970s until its discontinuance in 1998. These magazines will NOT fit the newly introduced model 225A1. Manufacturer is Sig Sauer GmbH & Co. KG of Eckernförde, Germany. Parent pistols had date codes ranging from 1977 until 1983. Construction is one piece folded steel body, with lateral round count ports and dovetailed back side closure; with steel spring, cartridge follower, and removable floorplate. Each magazine holds 8 rounds of 9mm ammunition. Finish is brushed surface blued steel. Surface detractions are moderate, principally surface wear from carry in leather magazine cases. We rate these as Very Good Condition, and buyers will receive magazines from the same batch as the photo specimens. All of these magazines are marked P6 / 9mm x19 on their floorplates, and some have white-ink marking from the West German Federal Police. 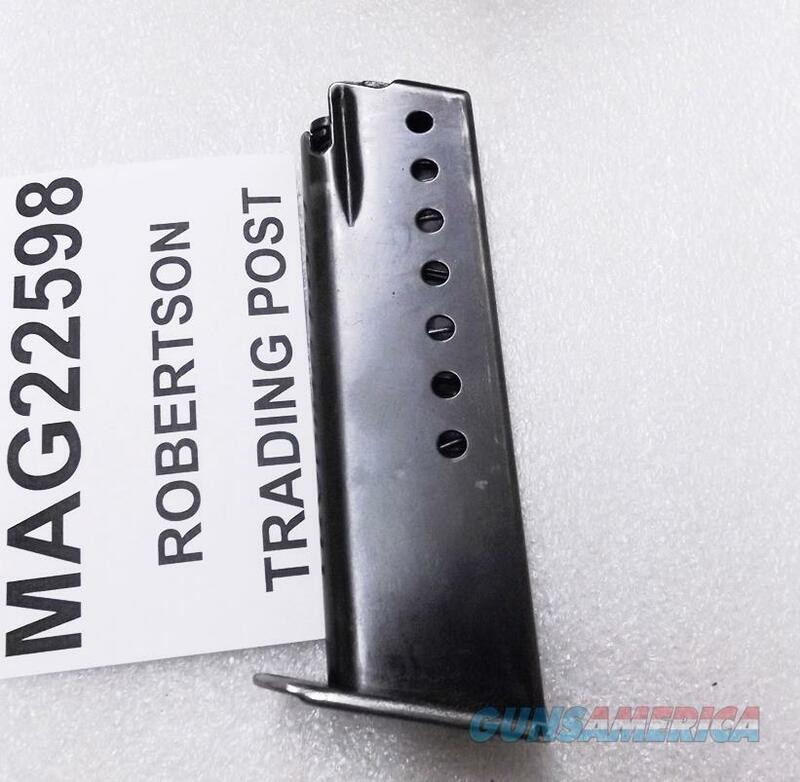 These magazines will NOT fit any other Sig pistol besides the P6 or old model P225. We're offering them each for only	$ 43.00. Not for sale to residents of New York City. Connecticut Buyers please message us with a scan or photo of one of your state permits, or federal firearms license.